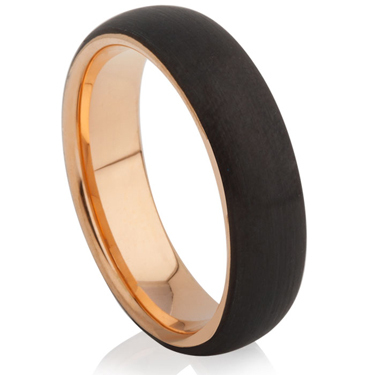 A court profiled tungsten carbide ring with black and rose gold IP Plating. The tungsten carbide ring has rose gold IP Plating on the inside and round the edges and black IP Plating on the surface. The two finishes gives the ring a clean and crisp finish.